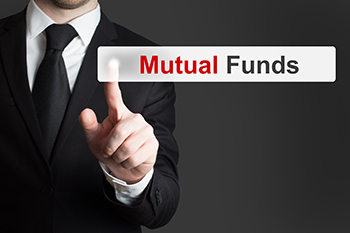 Many retail investors are reticent about investing in mutual funds, the reasons for not wanting to invest in MFs are usually three; first, ‘I don’t understand MFs’; second, ‘I do not know how to buy and sell MF units,’ and lastly, ‘When I can buy stocks directly from the stock market, why should I have mutual fund as a middleman to invest in stock market? Let’s take the first argument. Now, ignorance about MFs cannot be an excuse to avoid investing in MFs altogether. A mutual fund is just like pooling together of funds by a large group of investors to buy and sell stocks and other securities in the markets and then sharing the profit (or loss) equally. The second argument is untenable, if not superfluous. If one knows how to invest in stocks, one can also invest in MFs because investing in MFs is similar to investing in stocks. One can buy directly from the mutual fund house when it launches the MF scheme or one can buy later at the prevailing market rate. Like shares, MF units can be bought and sold online, and the MF units bought by the investor get credited in the demat account of the investor and MFs units sold get debited from the demat account. This is as simple as it gets. The last argument too does not hold water. MF schemes invest in diverse portfolio of stocks and debt instruments providing the benefits of diversification and mitigating the risks of investing in limited number of stocks and sectors. For an amount as small as Rs 1,000, the investors can get a bouquet of blue chips stocks in his portfolio, which would be impossible for an individual investor.